We will delighted to facilitate, arrange, assist and familiarize the family with the entire process of Bris (= Circumcision ceremony for a boy) and baby naming ceremony (for a girl). For everything you need do and know - you are in the right place! Chabad is here to help you think through the many details that require attention when planning a Bar or Bat Mitzvah. From training your son or daughter, to planing a meaningful event - we are here every step of the way. Mazal Tov! We are here to assist you on your big day. 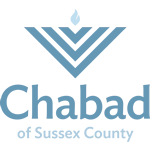 Please contact Rabbi Dubov to set up a meeting.